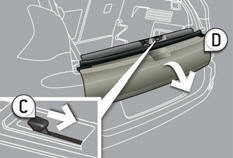 After unlocking the vehicle using the remote control or the key, press the handle A and lift the tailgate. 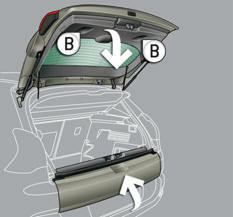 After closing the lower tailgate, pull the handle B downwards to guide the tailgate. 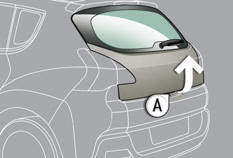 Push the handle C to the right and tilt the tailgate D .
Raise the tailgate D , push it fully to close it, check that it is locked correctly.